Hello Friends!! 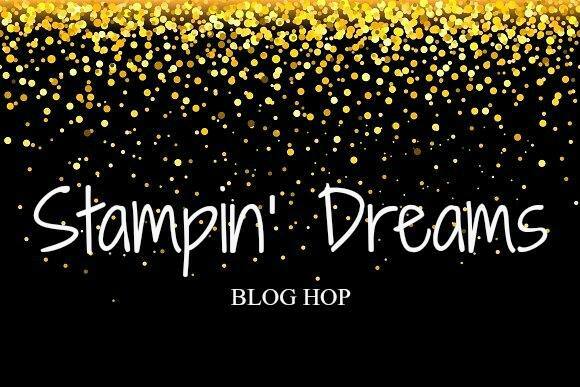 Today I am participating for the first time in the Stampin' Dreams Blog Hop!! and January's theme is Love, Valentine's, Weddings, Anniversary.. anything that has to do with LOVE!! The Sure Do Love You bundle is a great product.. the coordinating framelits (lots to love box) have a cute box that you can make for your valentines, I sure will be using the little box for valentine's treats.. this would be perfect to teachers and classmates as well as coworkers.. don't you agree? I'll share the box project once I create these boxes.. The Painted with love specialty designer series paper is awesome all the sheets have gold foil!! seriously all the projects using this DSP will be so beautiful and the colors on this pack are so cheerful and just perfect for any occasions, though it will be awesome for Valentine's day! Here is the video tutorial where I show how to make this quick and easy Valentine's card!! hope you enjoy watching the video. 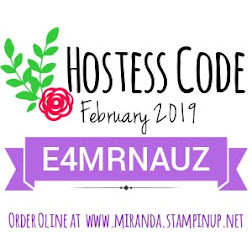 Thank you so much for stopping by and taking part of this blog hop, don't forget to continue visiting the other participants on this blog hop, I am sure you will enjoy seeing all the amazing projects everyone created with this theme! Below the list of items I use to make this card, so you can click on the images below, which will take you to my online store where you can get any of these items to recreate this card. Sale-A-Bration is on going!! 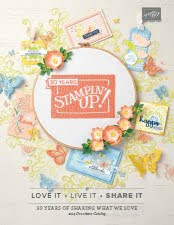 So remember that thru March 31st all orders receive FREE products from the Sale-A-Bration catalog for EVERY $50 you spend with Stampin' Up! 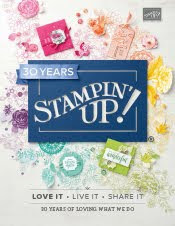 this is the best time of the year to get your stamping supplies!! seriously who would not like to get FREE products??? Thanks for stopping by, I appreciate your support!! Thanks Jessie, I had a lot of fun participating on this hop! This is a lovely card Allie. It is simple in design but the colours are so rich and elegant. Thanks Jenny :) glad you liked it! Such a striking card Allie. Love it! I like your forward thinking design, Allie. This will be easy to create in bulk and it's amazingly pretty! Thanks for sharing. Wow! I think I may just need to order that paper now. Wonderful inspiration.